At Mt Baldy School, we recognize that standards-based, developmentally appropriate curriculum, instruction and assessment are vital for a robust program. 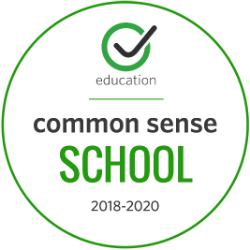 We believe that the Common Core State Standards (CCSS) are an excellent foundation for academic achievement, and we continually strive to make our program accessible for children. The desire for children's success lies at the heart of our teaching. We consider the whole child at Mt Baldy School. Our curriculum and instruction take this into consideration, resulting in an approach that benefits the child academically, socially and emotionally. Instruction at Mt Baldy School includes effectively gathering data through all the senses, as well as fostering a continuous love of learning. Instruction can take many different forms here. Taking advantage of how the brain learns is embedded into the way we teach; therefore a visitor to the school may see students experiencing planting seeds during science (robust neural networks are built through active processing and experiences), listening to a song about the gold rush during social studies (singing can soothe nerves and elevate spirits while putting content in a song helps later recall), taking a hike to observe a silhouette to write a poem (exercise benefits cognition, as well as the health of the brain and body), or reading quietly on the floor during language arts (reading not only helps us process verbal and visual information, it cultivates imagination). Mt Baldy School has some of the most compassionate, professional and expert teachers in California. Their commitment to the children, each other, and parents and community is as unique as the school itself. We incorporate a variety of instructional approaches that provides a balanced literacy program in English language arts. Our program includes non-fiction text, word study, novel studies, literature circles, guided reading, and the socratic method, just to name a few. We see English language arts as a vehicle for all other subject areas. Therefore, an emphasis is placed on purposeful reading and various forms of writing across all subjects areas. Our students read, write, listen and speak every single day. We believe that math needs to make sense for students. This is why, beginning in our earliest of grades, we emphasize playing with numbers and talking about numbers during our math. We have students experience concepts before labeling them. We know that concrete experiences pave the way for the transition to abstract thought. For instance, while students "play" by making different sizes of squares and rectangles using rows and columns of one-inch tiles, some students come to the realization that square numbers are actual squares in their model! Or another student realizes the rectangle she has made with three rows and 5 columns represents a multiplication problem (3x5)! That kind of learning is remembered and more easily applied to real world problems. CCSS's Math Practices help students develop the habits of effective mathematicians. We draw from these Math Practices and embed them in our teaching during math. Students are asked to incorporate mathematical vocabulary into their learning, whether during a math center/game or during a small group lesson. We model and ask students to use language to describe math, model with math, construct viable arguments in math, and use appropriate tools (algebra tiles, calculators, base ten blocks) effectively. As we venture into our new Next Generation Science Standards (NGSS), we are learning about the three dimensions of science learning that are embedded in the NGSS. These three dimensions include Crosscutting Concepts, Science and Engineering practices and disciplinary core ideas. The Crosscutting Concepts include Physical, Life, Earth, Space Science and Engineering Design. An example of this is the study of energy and matter. Science and Engineering practices describe what scientists do - investigate the natural world and what engineers do to design and build systems. An example of this is when students define a simple design problem that can be solved by applying ideas about magnets. Disciplinary Core Ideas (DCI's) are the key ideas in science that have broad importance within or across multiple science or engineering disciplines. An example of this would be humans impact on earth systems. As we continue to gain expertise with these standards, we will continue to find ways to bring the NGSS to life in and outside our classrooms. In grades K - 4, we integrate our Social Science program with language arts and math. Much of our Social Science is taught through trade books, thematic studies and field trips. We use our adopted curriculum to support the understanding of Social Science concepts being taught; for instance, second graders learning the difference between things that happened long and ago and things that happened yesterday, or fifth graders describing the cooperation and conflict between Native Americans and the new settlers. In our 5 - 8 Social Science program we use History Alive! This is a curriculum developed for teachers who want to revolutionize the way we teach history. In fact, this program helps Ms. Blanks transform Social Science into multi-faceted learning experiences. Lessons start with a big idea, include simulations, essential question(s), and incorporate graphic note taking, collaborative work, and step-by-step discovery. Student-centered methods and instruction taps into a variety of learning styles, increasing engagement for all. We believe the arts are not only valuable as a stand-alone subject, they are also embedded in core subjects. For instance, examining and recreating the ancient cave paintings of Lascuex is a natural part of social studies, determining the relationship between sound waves and musical notes falls naturally into physical science units, performing a poem for four voices fits perfectly when studying poetry in language arts, while the creation of tessellations make perfect sense during the study of geometry. At Mt Baldy School, we value the arts, as does our community. This is why we judiciously allocate time and funds toward ensuring all of our students experience visual and performing arts on a regular basis. Through Elizabeth Preston's expertise as an art teacher, our students experience various forms of art, such as three-dimensional sculpture and pen and ink. Belinda Thom and Cheryl Ooten teach music to all students K-8, enabling them to understand different facets of music as well as supporting their abilities and performances with various instruments. Dr. Ooten shares her passion for mathematics as well, where she expertly helps students discover the fascinating relationship between music and math. We believe creating art is a form of pure problem solving and an avenue of self expression that is both unique and deeply personal. We believe these kinds of experiences result in well-rounded, creative, critical thinkers. In order to support students in these important competencies, our teachers use research-based materials. In addition to SEL in the classroom setting, we incorporate a peer mediation program, run by our Jr. High students with supervision from adults and trained proctors, and volunteers. At Mt Baldy School, we value physical education as well as encouraging health and wellness in our students. With that in mind we have adopted the SPARK program for our PE classes in K-8. The SPARK program was created by John Ratey MD, a clinical professor from Harvard Medical School. His research and work in the fields of brain science and exercise illustrate that exercising has multiple benefits on mind and body. Using his program as the basis for our PE program, students not only learn important physical education standards and skills, they experience the health and wellness that comes from activity, collaboration and teamwork. We are fortunate to have a consistent 2:1 ratio of students to computers in each of our classrooms. Because of this, we are able to use technology in a way that engages students on a regular basis. The basics of keyboarding, word processing and presentation graphics are taught to our students beginning in the primary grades and continuing through middle school. We see and use technology in ways that extend and deepen understanding of concepts and standards introduced in the classroom setting. Through e-labs and web quests, our students are given opportunities to take virtual trips to see and learn things from places otherwise inaccessible. We understand that with technology comes responsibility to ensure student access is at all times appropriate and beneficial. In order to do this, we assess our use of technology frequently. This year we have adopted a Digital Citizenship curriculum that supports and guides students in their development as consumers, archivers, curators and producers of technology.